The new semester is upon us, and we have a variety of events to help you settle back into the work load and start that last stretch on a roll! 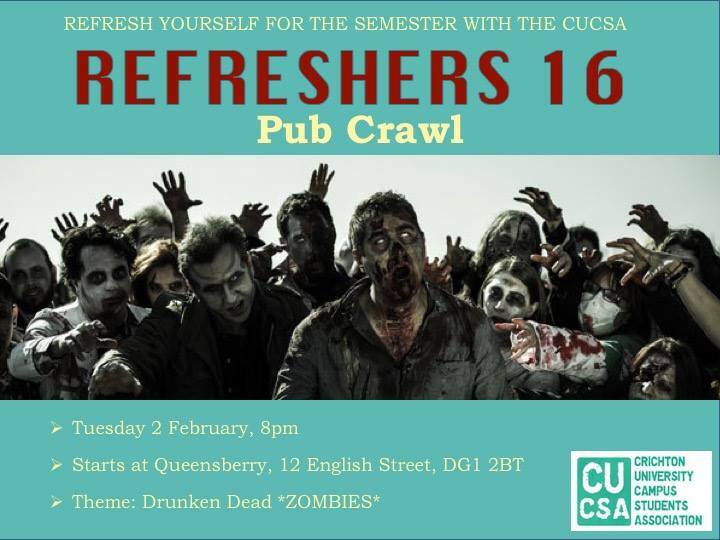 Starting Tuesday 2nd February we have: “The Drunken Dead: Zombie Pub Crawl” 8pm @ the Queensbury. Featuring challenges and teams of zombies which will help bring all your friends together to start the new semester with a kick! Thursday 4th February: Acoustic afternoon with “Gracefell” playing 1pm @ Rutherford McCowan (on Campus). Some enchanting music to help you deal with any deadline stresses and just have some time to chill on campus. 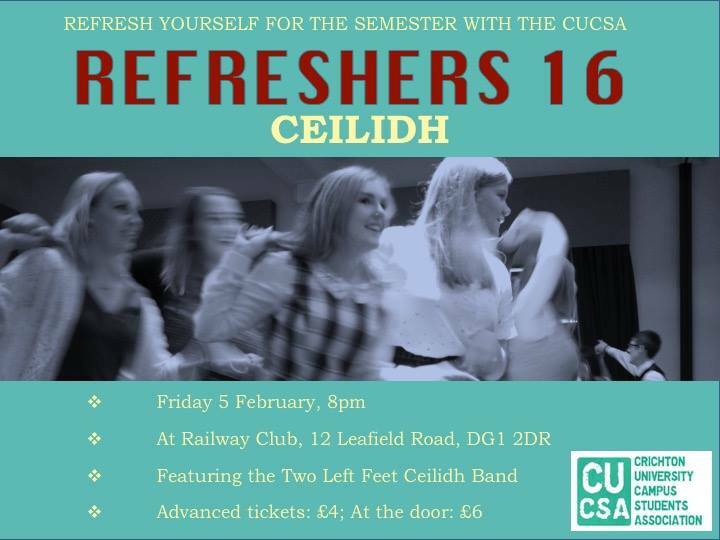 Friday 5th February: “Refresher’s Ceilidh“. Doors open 8pm @ the Railway Club (Across from DG1 building). Who can say no to a ceilidh? Get your kilt and your partner, and come have a night with us you are sure to remember! 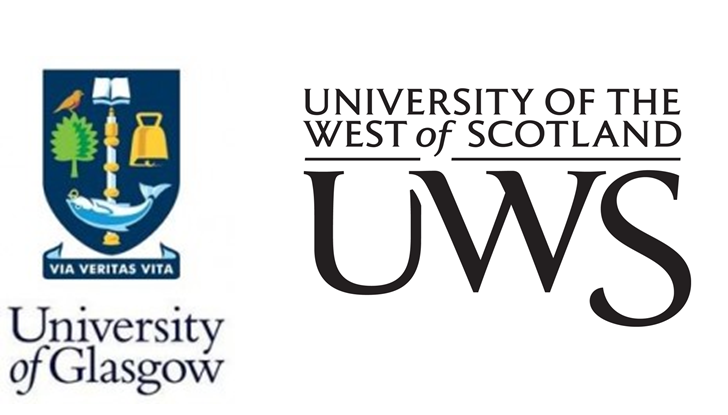 And finally, on Saturday 6th February: “CUCBC Quiz Night” 7:30pm @ the Nithsdale Boathouse (down from George street square). 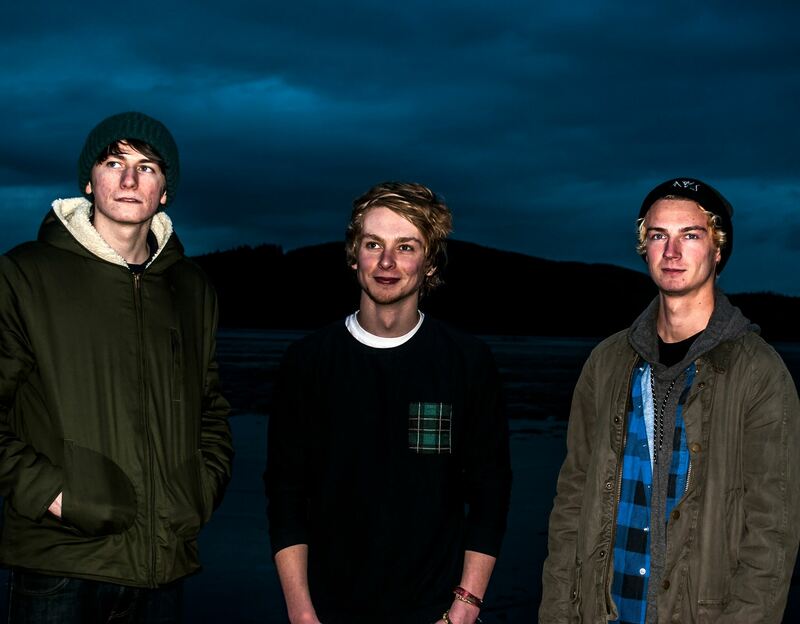 Have you met the guys from the “Crichton University Campus Boat Club”? 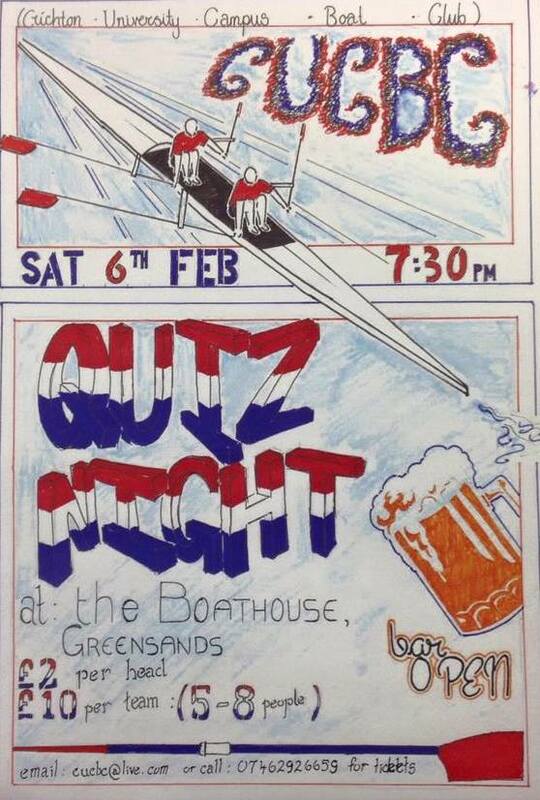 Come to what is sure to be a great quiz and generally a great night with some new friends, hosted by the rowers!